In a storage room at a food bank in Kingston, south-west London, the manager raises his hand above his head to show how high the crates of canned fruit get in October. Today, the stack barely reaches his knees. Paul Pickhaver says the facility receives fewer donations in summer, so whatever comes in goes straight out of the door for distribution. In recent weeks, it has run low on instant coffee, tinned vegetables, fruit juice, squash and many other items. This food bank is not alone. A record number have been forced to ask for donations this summer after running out of some items, according to Trussell Trust, Britain’s biggest food bank network. The charity said 42 of its centres – about 10% of its network – released an urgent appeal for items on social media, or through local media, in the past three months. Stock shortages came into sharp focus in July when an independent facility, Eastside food bank in Swansea, South Wales, ran out of supplies. Volunteers who run the food bank from Mount Zion Baptist church in Bonymaen made an appeal for stock. The callout prompted a tenfold rise in donations. 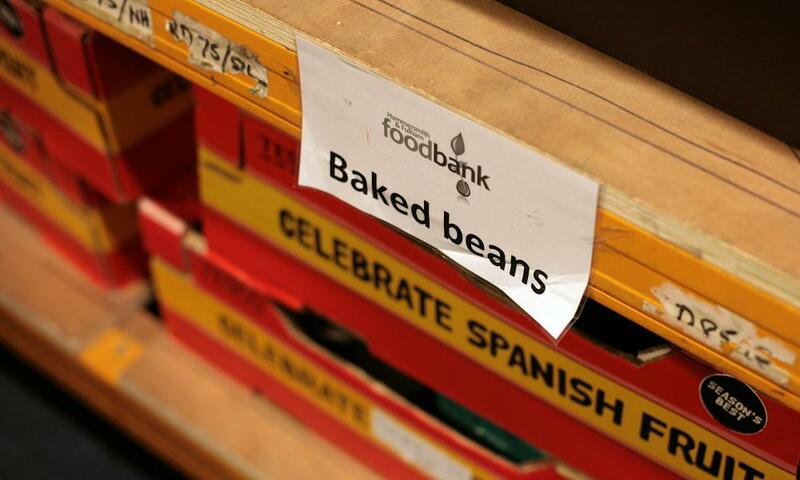 West Somerset Food Cupboard, an independent food bank in south-west England, made an urgent appeal for baked beans this week. The coordinator, Ann Gibbs, said a surge in demand had triggered the request. 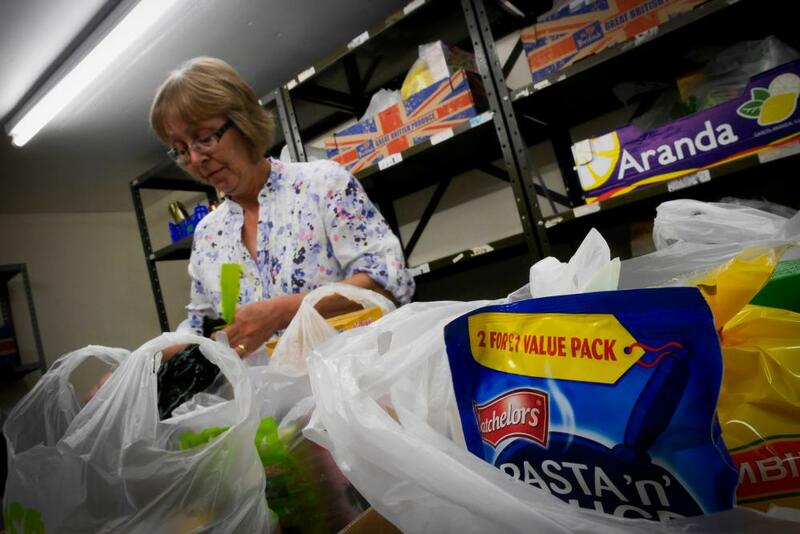 In Nottingham, low supplies were reported at Mount Zion food bank, in Radford. It has also noted a surge of donations since its appeal. James Milton, operations support manager at Trussell Trust, attributed the increase this summer to a rise in year-on-year referrals. “While none of the food banks in our network have run out of food, we know many of them are worried about stock levels of certain shortage items,” he said. Rev Chris Lewis, chair of Eastside food bank, said changes to the benefits system were also a contributory factor. He said food banks were facing more pressure than ever, pointing to a 40% rise in referrals in the year from May 2016. “People are being referred to us because of benefit sanctions and because of quite long delays in changes to benefits,” Lewis said. This year Trussell Trust said the chaotic introduction of universal credit, the government’s flagship welfare overhaul, had increased food bank use. The charity said many claimants were unable to afford meals when their benefits were delayed. Pickhaver, in Kingston, said social media was a useful tool for alerting the public to stock shortages. “Normally, if you look at the list of items we have, you could come here and pick up any of them – but we cannot do that at the moment,” he said. Lewis said the lack of supplies this summer had highlighted the extent of hidden food poverty. “It’s not going to go away … Austerity is causing a lot of suffering,” he said.